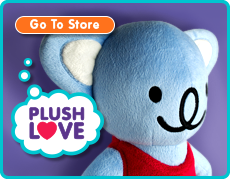 Forget BFF, It’s Time For FFF – Furry Friends Forever! Best Friends Forever, BFFs, Besties, these terms are all perfectly acceptable. But since when was ‘acceptable’ something to settle for? Want to live a little differently? Want to stand out from the crowd? Want to make a real difference? Yup? Then say hello to FFF or Furry Friends Forever. Remember, best friends are good, but furry friends are great! Are You Smiling About Your Toast In The Morning? Australia has several iconic foods and drinks. One extremely well known one is a dark brown paste made from yeast extract, called Vegemite. It's a spread for toast and bread, and is one of the richest sources of B Vitamins in the world. Some say it’s an acquired taste, but with over 90% of Australians owning a jar, (including Smiling Bear of course) it must be yummy! Smiling High, Up, Up In The Sky! 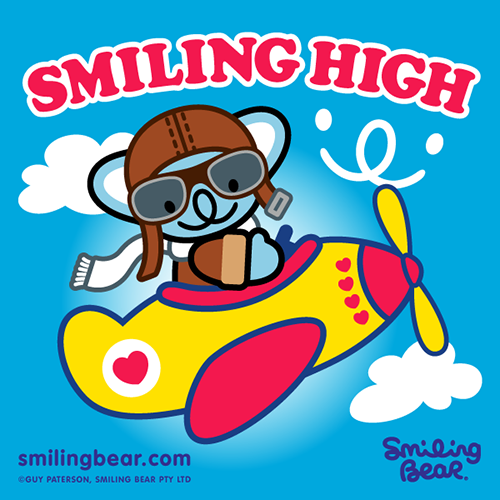 Smiling Bear loves flying. When you’re up in the air you know you’re at the beginning of a journey. Will you meet new friends along the way? What will you do when you get there? Will you want to come back? You’ll just have to wait and see. Sometimes in life you’ve got to work hard. But sometimes in life you’ve got to kick back and take it easy. It’s all about getting the balance right, a little bit of work and a whole lot of play! Enjoy your life to the ‘relaximum’. It's sunny and 73˚ here in Sydney, Australia today (not bad for the middle of winter). Winter in Australia is from June to August. Luckily, with temperatures as warm as today’s we can still get away with wearing our beloved flip-flops though (or ‘thongs’ as they are called here). Ice cream is very popular here, whether it’s summer, autumn, winter or spring! Apparently, Australians eat 18 litres each per year. Not all in one sitting though, imagine the brain freeze that would cause bbbbbbrrrrrrrrrr!!!! Please don’t let koalas become extinct! They are still very much in danger. 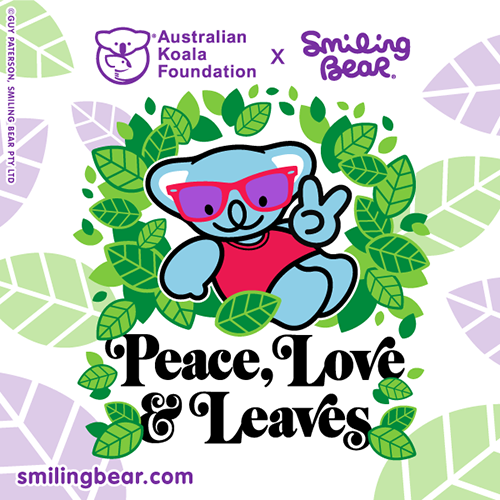 Head over to the Australian Koala Foundation and find out how you can help. 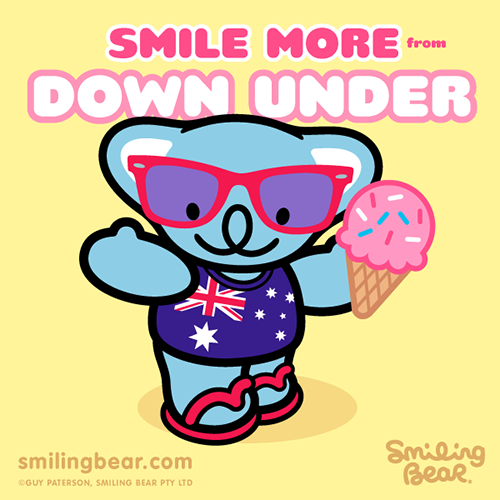 Smiling Bear wants to make sure he and all the other koalas keep on smiling! 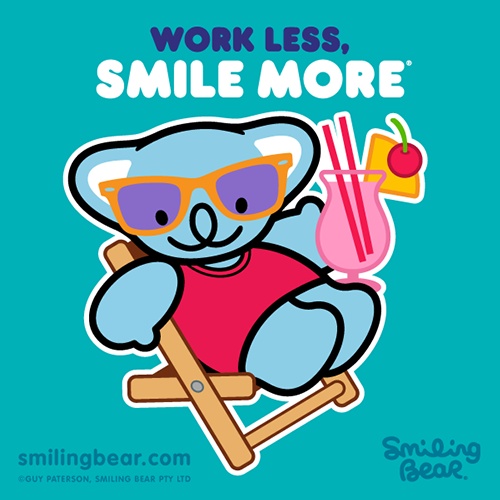 Smiling Bear’s all about being happy and sometimes there’s no better way than to sing along to your favourite tune. Music is a powerful thing, it brings people together and uplifts them. We’re spreading our ‘Smile More’ message, are you feeling our good vibrations? !